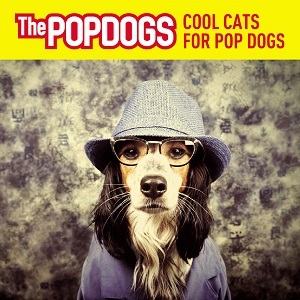 'Cool cats for pop dogs' is the debut album from Lincoln Popwerpop band The Popdogs. This is a really catchy album - imagine REM crossed with 60s pop bands and that's a good starting point. Opening track "Kelly's on" sounds like a cross between REM and 60s bands such as The Beach Boys - the catchy guitar riffs from the 60s pop plugged into REM style songs. It sounds like an odd combination (and maybe it is), but the end result is incredibly catchy songs. Like most 60s pop, the songs here are all short, with just three of them longer than three minutes, and that helps make the songs punchy, and catchy. There's no time for long solos or anything else that slows the pace down - the songs are all fast paced and above all catchy singalong type of songs. There's a definite 60's pop feel to the album, and mixed in with that is a more modern flavour too, with the end result being extremely listenable catchy Powerpop. Definitely well worth a listen.